She is the co-founder of the Insight Meditation Society in Barre, MA and the author of ten books including NY Times bestseller, Real Happiness, her seminal work, Lovingkindness, and Real Love. 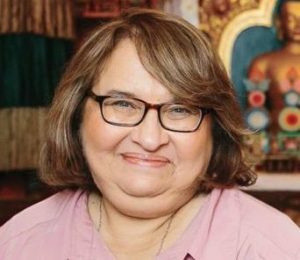 Beloved for her for her down-to-earth teaching style, Sharon offers a secular, modern approach to Buddhist teachings, making them instantly accessible. She is a regular columnist for On Being, a contributor to Huffington Post, and the host of her own podcast, The Metta Hour. For more information, visit www.SharonSalzberg.com.